The plumber has been here just about every day since the middle of last week. 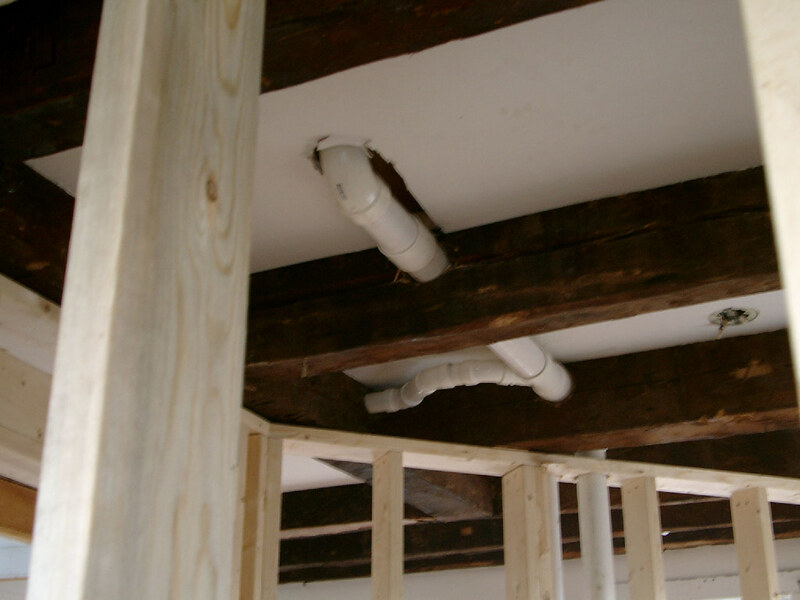 When the plumbing is done, they’ll install sheetrock over the pipes and between the beams so that the beams will still show. We won’t see the full depth of the beams in this area, but they’ll still be visible and, since it’s the entry way and bathroom, we probably won’t be staring up at the ceiling in this part of the house that much. 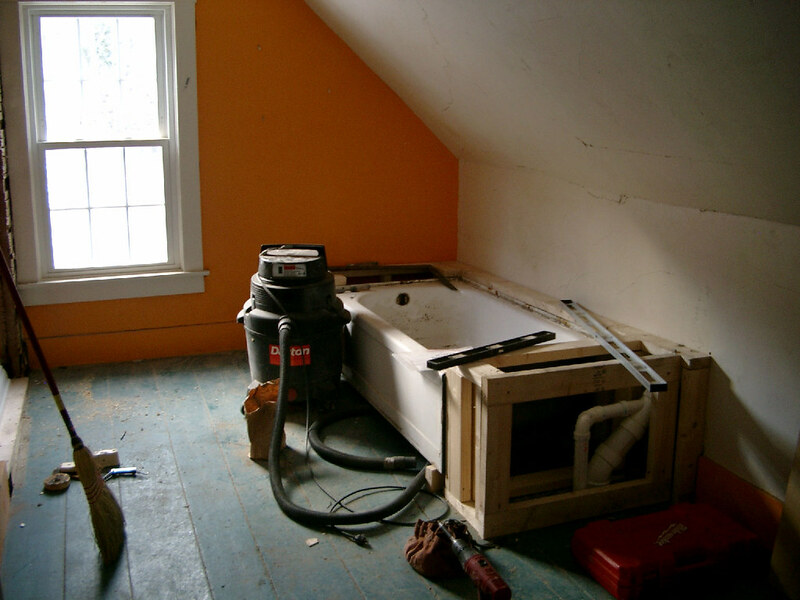 Upstairs, Hyla’s old room is suddenly being transformed into a bathroom. It’ll include all the basics. 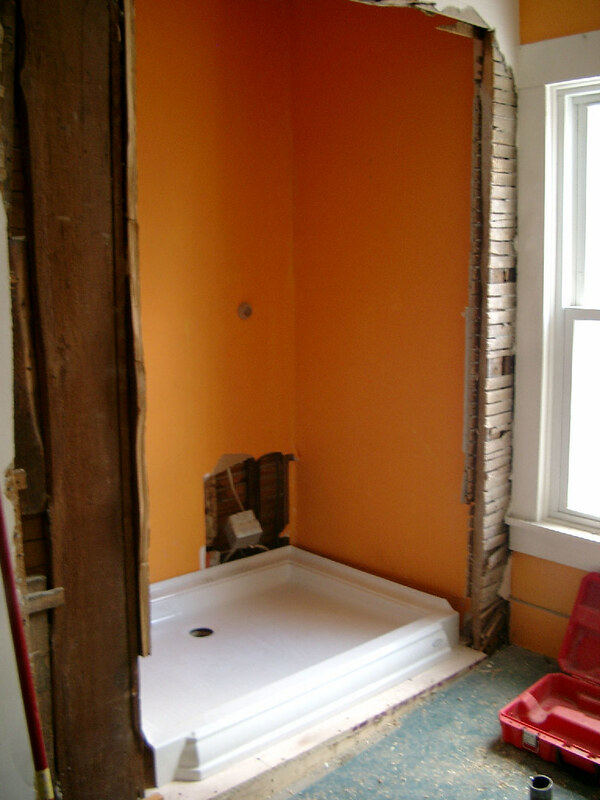 There will also be a vanity/sink on the wall to the left of the shower. Having this room finished is one of the keys to our moving back in, so it’s nice to see some action here! 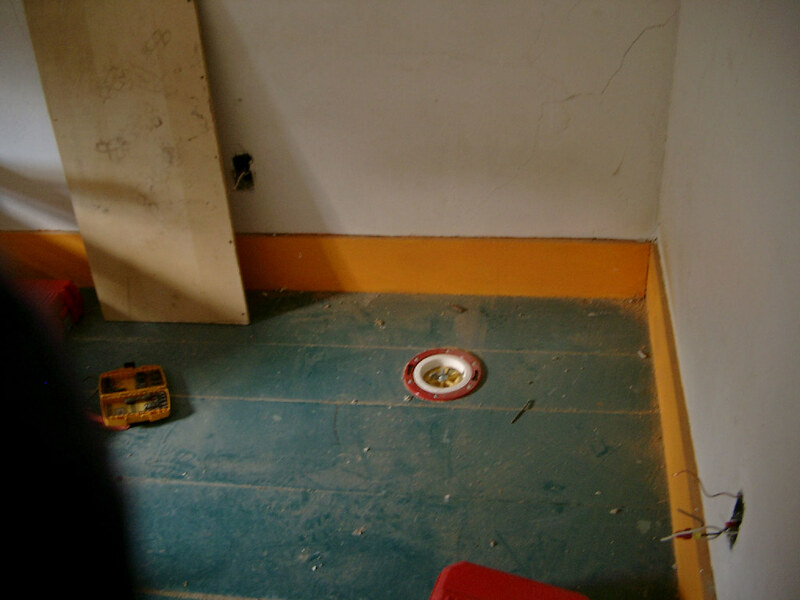 Previous Post Wiring and plumbing and deck, oh my!